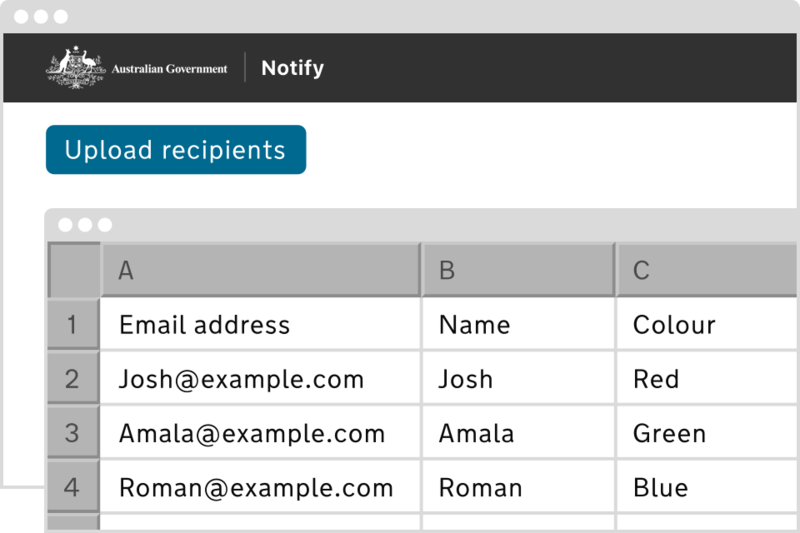 Notify.gov.au is a whole-of-government notifications platform that allows agencies to send reminders and messages to users. The platform has now moved into private beta and we’re inviting agencies to trial it at no cost. As part of the government’s Digital Transformation Strategy, we have committed to build platforms to support better services. The Digital Service Platforms Strategy outlines how whole-of-government digital platforms increase the integrity and consistency of government service delivery, and provide a unified and seamless user experience. 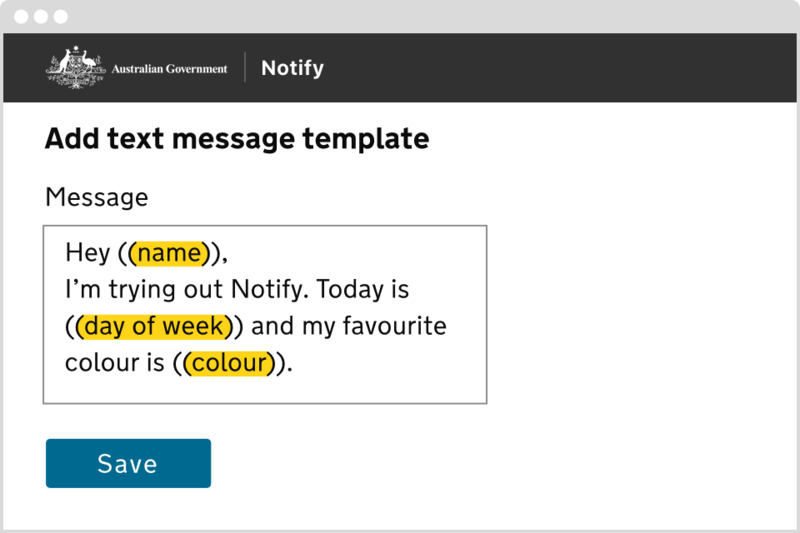 In Private Beta, using open source code developed by GDS UK, we have developed a whole-of-government notifications platform called Notify.gov.au. This platform will provide federal, state, territory and local government agencies with an easy, low cost way to communicate with their users anywhere in the world. People make millions of calls and enquiries each year to government agencies to find out about the progress of their applications, payments and obligations. Through our user research, we found that people want to receive immediate updates on non-sensitive information through text message and/or email with small snippets of useful information. For example, they want to be reminded of an upcoming appointment, to be updated when their application has progressed in a queue, or to be told when their document or card is about to expire. You don’t need any technical knowledge to create email, text messages or letter templates. Track how many messages you have sent and find out which ones aren’t getting delivered. 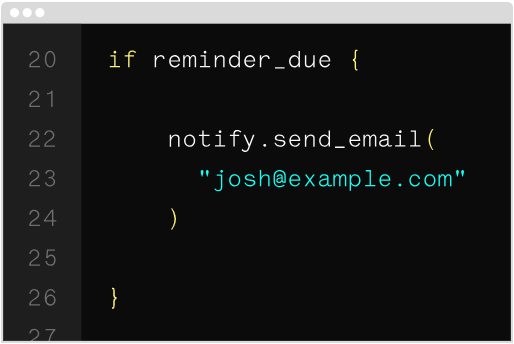 Integrate the Notify API with your web application or back office system. 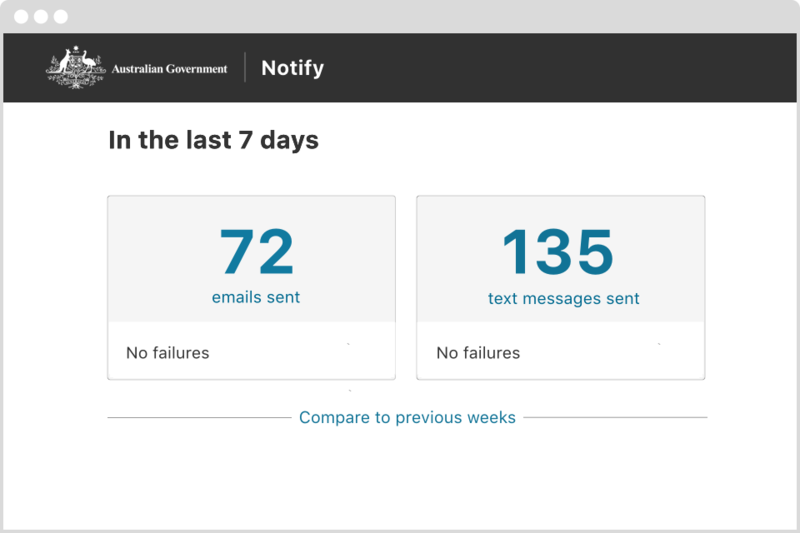 We’re inviting government agencies to trial Notify.gov.au at no cost until 30 June 2019. The valuable agency feedback collected during this trial will help us make improvements and prioritise features to ensure Notify.gov.au meets both government and user needs. For more details about trialling Notify.gov.au, please email platforms@dta.gov.au or call 02 6120 8704.